The Matterhorn TV stand for TVs up to 65" and up to 90 lbs. 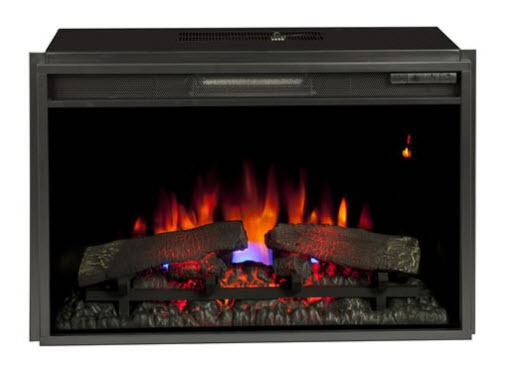 with an electric fireplace is a gorgeous and welcoming addition for any home. The flagstone body is accented by the Caribbean Mahogany top and shelves, and a black fireplace surround and base. The partitioned media shelf and two open side cabinets perfectly store AV components and entertainment accessories. 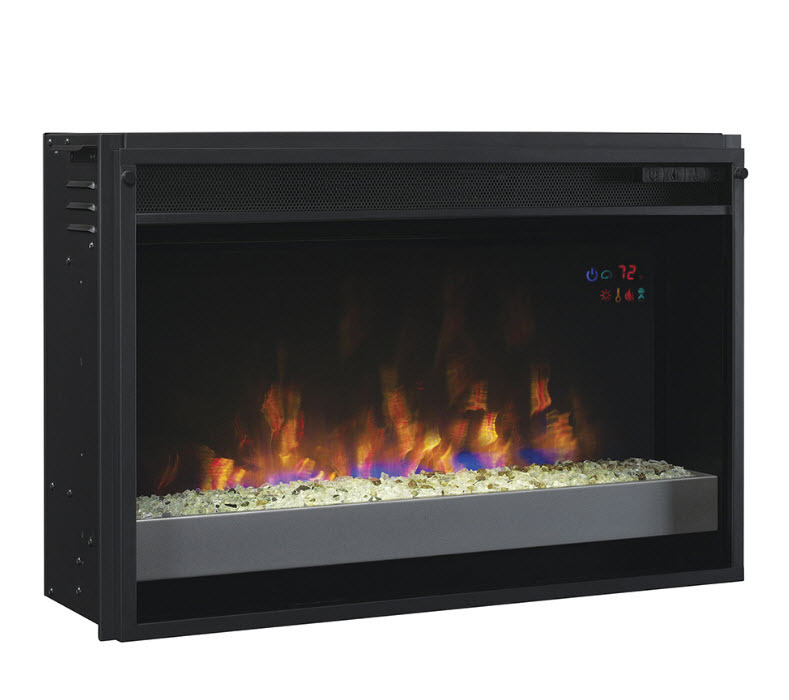 The electric fireplace provides supplemental zone heating for up to 400 or 1000 square feet (Please select insert in options). 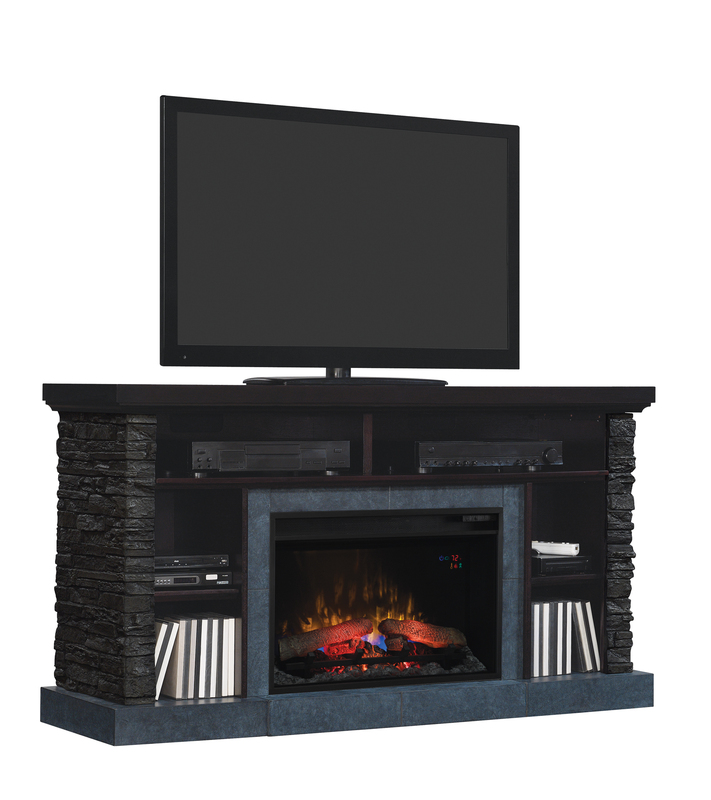 The tempered glass front display includes a traditional log set and ember bed. 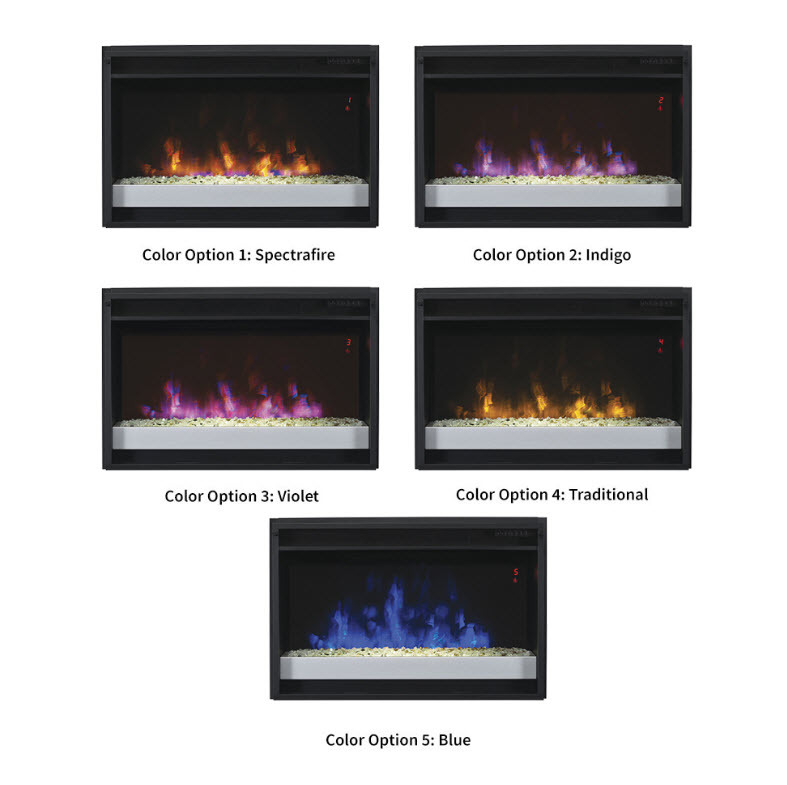 Spectrafire® flame effect technology offers three Blue and three Amber flame effect options to create the perfect ambiance for any style. 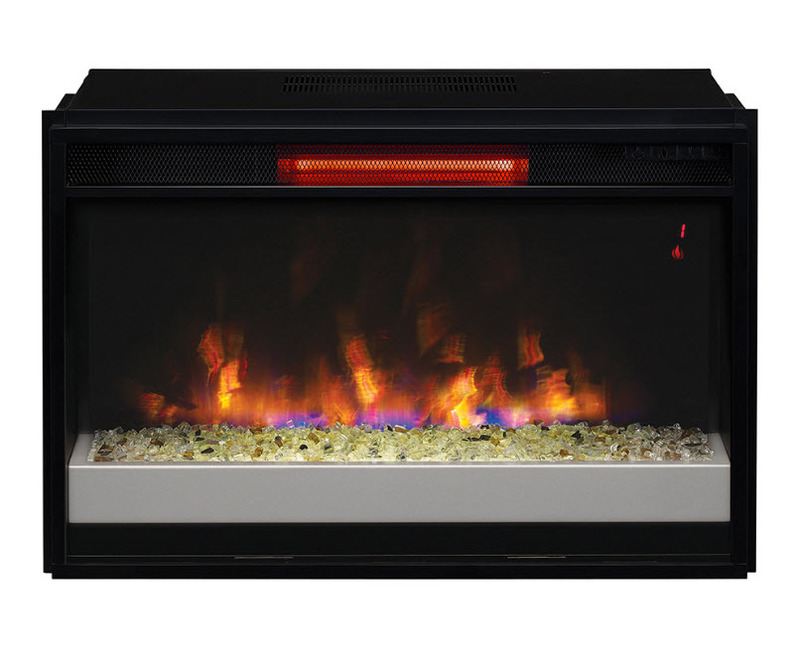 The flame effects can be operated with or without heat, allowing you to showcase eye-catching flames all year long. 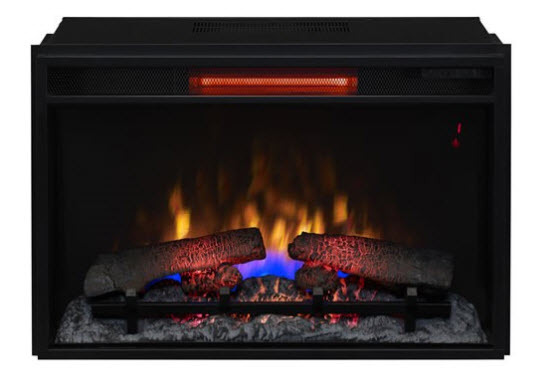 The Matterhorn TV stand complements a ClassicFlame 26" electric fireplace insert in either standard or infrared heat and in realistic log or contemporary glass pebbles(Please select in options).